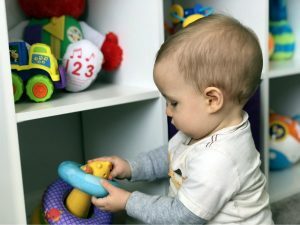 At DIY Early Learning Center, our attentiveness to each child’s unique temperament, allows us to teach positive techniques that are used for self-regulation of emotions and behaviors. We believe that children’s ability to solve problems, use vocabulary as a form of self expression, take turns, and cooperate with peers are essential components needed to succeed in life. Understanding your child, enables us to introduce new challenges in ways that supports their individuality and foster feelings of security and trust. 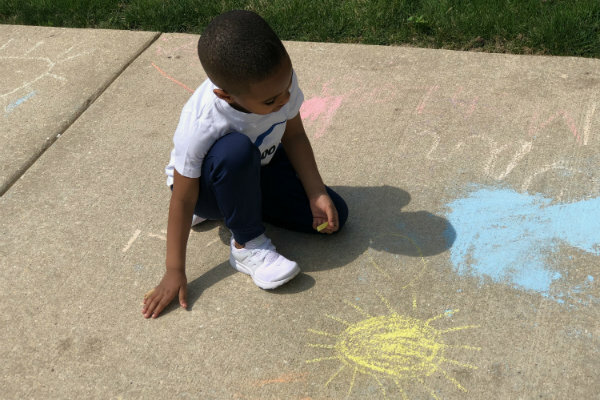 Our curriculum, which is aligned with the Illinois Early Learning and Development Standards, supports children’s ability to learn from self- exploration as well as teacher facilitated lessons. The learning environment consists of a variety of learning centers that allow children to engage in activities that inspire imagination, promote creativity and develop critical thinking skills. We offer blocks and various building materials, dramatic play equipment for imaginary reenactments, math and science activities, a library, music, art and a sensory station to name a few . 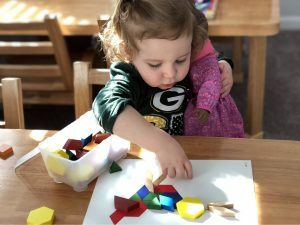 DIY Early Learning Center provides a balance of quiet and active engagements as well as large and small group opportunities to create a day full of discovery. During infancy, our primary objective is to develop a relationship of trust and attachment. We spend time talking, reading, singing songs, introducing babies to rhythm and tempo and providing a variety of sensory experiences. Your baby will giggle with delight as we help them stretch and strengthen their muscles by reaching for objects, clapping their hands, discovering their feet, rolling, sitting and eventually pulling up into a standing position. Toddlers are busy exploring, learning and discovering the world around them. During this stage, we provide endless opportunities that initiate the development of self-help skills such as feeding, dressing and washing their hands. Reading books, singing and storytelling introduce literacy while the use of crayons, pencils and paintbrushes help strengthen the small muscles that are used for writing. Arts and crafts, puzzles and a variety of manipulatives will be used to promote cognitive development as children learn to follow simple instructions while participating in small groups. Our outdoor environment provides ample space for physical activities that strengthen muscles and enhance balance and coordination. Preschoolers enjoy social interactions and increased independence. We model simple techniques to prevent or resolve conflict and support the children as they master the developmental milestones of taking turns and learning to play games that have rules. We place great emphasis on encouraging children to use vocabulary as a means of expression, while understanding some children may choose art, dance or imaginary play as an invitation into their world. 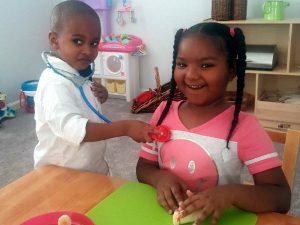 At DIY Early Learning Center, we have created an environment that supports children of different abilities, encourages social interaction and inspires creativity. Our goal is to provide an atmosphere of peace, community, cooperation and elevation while building meaningful, long-term relationships with the community we serve. 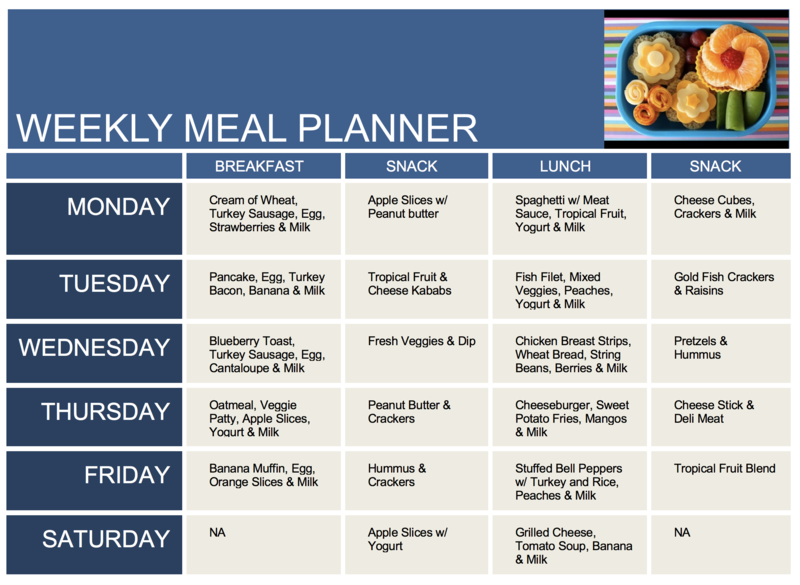 At DIY Early Learning Center, we place great emphasis on providing meals that are rich in nutritional value and appeal to a young palate. Your child will be encouraged to use proper table etiquette and will have opportunities to develop self-help skills as they assist with table preparations, are allowed to serve themselves and encouraged to tidy up afterwards.